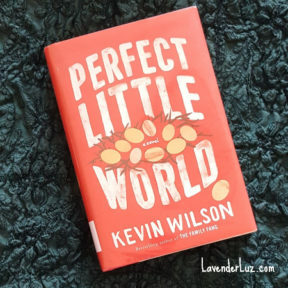 Kevin Wilson’s Perfect Little World came to my attention when Melissa Ford wrote about it. 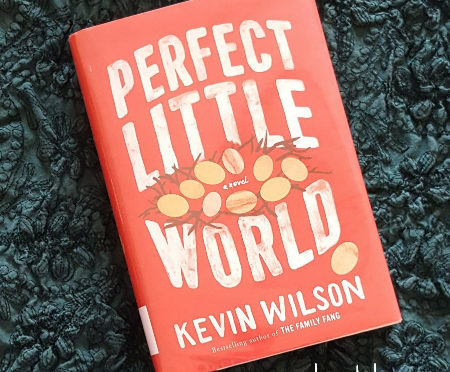 I’ve long enjoyed discussing books with Melissa and others the ALI community (Adoption, infant Loss, Infertility), so of course I immediately reserved this novel at the library and jumped it to the front of my queue. I’ve just begun reading and already there have been a half-dozen times I’ve stopped to ask myself what you all would make of this book. What was the social worker’s take on this story? What is the relationship like between birth mom and birth dad today? How did you decide how much of your daughter’s story to share? We’ve wrapped up the book tour for Brandi Rarus’ memoir, Finding Zoe, and today we have the author herself answering questions our book group put to her. Book Tourist: I wonder if you considered not sharing the explicit details of Zoe’s backstory with the reader? As an adoptive mother, adoption educator, and parent coach, knowing the explicit details of your daughter’s story bothered me. I believe our kids’ stories are theirs, and it is our job as parents to hold their stories sacred. In other words their stories are theirs to share, when and how they wish, as they understand them. How do you feel Zoe might react to her full story being shared when she is older? Brandi Rarus: On sharing explicit details of Zoe’s background: I appreciate that comment and do understand the concept that our children’s stories are theirs to share. 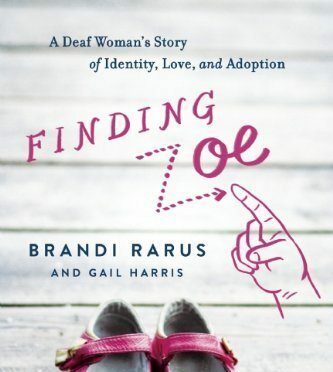 Finding Zoe was written from the perspective that her journey of arriving into our home was nothing less than “perfection” — because the chances of a deaf child finding deaf parents the way Zoe found us were so slim. Her story was not traumatic, but rather a story of celebration and I wanted to write to that. There is no one size fits all, what felt right for me and Zoe may not be right for another adoptive child. How Zoe may react to her story being shared when she is older — that I do not know — but I wrote it for her so she would know how much she was loved and wanted by everyone who cared for her. I would hope that she would embrace it as she has embraced everything in her life today. If she does have concerns later on I trust that we will work through them together and that she will understand I had her best intentions at heart. Was social worker Marlys interviewed for your book? I didn’t notice her in your acknowledgements. No, Marlys was not interviewed. We tried on several occasions to reach out to her to ask — and had everyone sign confidentiality waivers so that she would not be breaching confidentiality if she spoke with us, as we thought she may have concerns with speaking publicly on an issue that requires confidentiality. She never did respond to us, so we wrote the book based on the feedback and perceptions of the characters who were interviewed. Marlys was Jess’s saving grace during her entire pregnancy. BJ did not feel she was supportive. We tried to capture these perspectives. Have BJ and/or Jess learned to sign? No, BJ and Jess have not learned to sign. I would love them to do that, as that is really important in having a relationship with Zoe. However, those who learn to sign need to be in environments where it is used frequently so they would have to find other deaf people in their areas to practice with and communicate with. Neither of them live in an area where there is access to a large deaf community. I believe Jess and BJ have made peace with each other and found forgiveness because of the very meaningful experiences they both had from interviews for the book. They met up and talked about what happened, as they are both now at an age where they are mature enough to listen to the other and understand the others’ point of view. Their two sets of parents got involved so quickly when Jess found out she was pregnant that they really never did have a chance to work through this themselves. The one thing I know for sure is Finding Zoe was therapeutic for everyone involved because they felt like they were “heard.” We tried very hard to write their stories from their points of view and humanize them. They are all really, really good people!! Lori: Thanks to all book tourists for their participation on each others’ blogs, and to Brandi for entertaining our questions. Find Brandi at www.brandirarus.com. In case you missed it the first time, here are links in this book tour. Click around to see what we’re discussing in Finding Zoe. But what about supporting the birth father when he indicates an interest in parenting? Why didn’t we hear from the social worker involved? 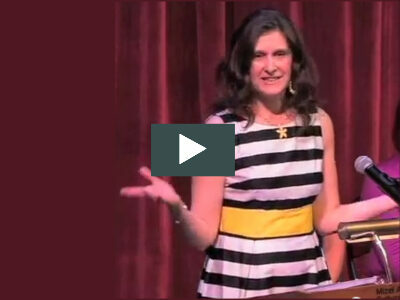 What about a sense of destiny — a meant-to-be-ness — in an adoption scenario? These are just a few of the questions posed by virtual book club readers who are sharing thoughts today about Brandi Rarus’ brand new memoir. 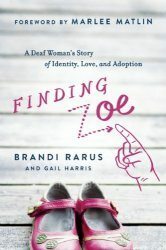 Finding Zoe combines Deaf Culture and the adoption of her daughter, Zoe, who lived in four homes in her first eight months of life. Even if you aren’t part of the tour and even if you haven’t read the book, check out what readers are saying — you might find that Finding Zoe is one you want to put on your gift list or wishlist. Via the links below, you’ll get to be a fly on the wall as readers answer questions put to each other in our virtual book club. In a day or two we’ll hear from the author herself as Brandi Rarus responds to questions we posed to her about sharing her daughter’s story, the status of openness between Zoe’s birth parents 10 years in, and the role of the social worker in her story. I enjoyed reading about how Brandi, who became deaf at age 6 due to spinal meningitis, moved between two worlds as a child and as a young adult. Early on, she was a deaf person in a hearing world. She’d already developed speaking skills prior to losing her hearing, and proved adept at lip reading and at being understood with speech. She accepted her new reality and continued to function well despite losing her sense of hearing. As she grew up, she moved into another world, the one of Deaf Culture. She’d found her peeps, those who shared her experience of being deaf. Yet she found that there was quite a split between the two worlds. Some could be militant about how deaf people should relate to the world: (a) the deaf should do their best to fit in with hearing people by lip-reading and learning so speak (oralists), OR (b) the deaf must learn sign language to communicate with other sign language speakers (manualists). The book gives a history of the large chasm between the likes of Alexander Graham Bell, who advocated for oralism, and the likes of Thomas Hopkins Gallaudet, who was a proponent of manualism. Brandi took these Either/Or worlds and became a bridge, a Both/And, between oralism and manualism. Later, she married deaf activist Tim Rarus and they had three hearing sons. But Brandi had felt all her life that she would one day have a daughter. The realness of this would-be daughter was almost palpable to Brandi. As decades passed, that dream of a daughter looked more and more unlikely to come true. But we know Brandi eventually does become mom to a daughter, and Zoe does get a permanent home. The second half of the memoir tells of the meandering paths Brandi’s and Zoe’s lives took separately to eventually intersect and inertwine. Viewpoints of both birth parents are included. Was anyone else curious why the birth father, BJ, wasn’t given more support when he clearly wanted to parent his daughter? It seemed like the Christian agency and the agency representative Marlys had an agenda and the biological father and his parents were not part of their plan. The book states that “BJ believed that his child belonged with him,” and from the telling it does seem that the agency was more intent on the outcome than on the integrity of the process of this adoption (perhaps that’s because the agency was advocating for and abiding by the wishes of the placing mom, its client, but who knows). BJ, who had been involved during the pregnancy, wasn’t told that his his baby had been born. Social worker Marlys later said when breaking the news to the first adopting parents that BJ was interested in parenting: “His response is fairly typical, but they [birth fathers] usually come around” — meaning that BJ would probably end up relinquishing. BJ, already nervous about parenting a child solo, was dealt a final blow with the news that his baby probably had special needs. The social worker came to his house and told him that “he couldn’t possibly earn enough money to provide for Celine [later Zoe] because there wasn’t enough money to be made in landscaping.” BJ did have the support of his parents for whatever he decided. So yes, I do think that the agency, through the social worker, acted with perceived omniscience, as if she knew what was best for all involved. Really, though, who among us has an omniscient point of view? Even the people who live with the consequences of a decision (unlike the social worker, who will walk away from it) have a hard time grappling with possible and desired outcomes. What are your thoughts on “meant to be” in adoption – a sense of destiny? Do you think it makes a difference how this feels in different parts of the triad? Explain. I don’t believe my children were destined to be mine. But they ARE mine ( I say that by way of claiming rather than owning). I don’t believe they were destined to be separated from their birth families. But they WERE. I don’t believe that this is the ONLY way things could have turned out, with us as their parents and them as sister and brother. 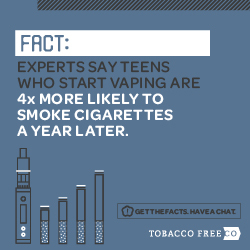 Yet they DID. …a deaf infant could be severely slowed down in acquiring language unless early and effective measures are taken — unless she is given sign language… [She needs] parents who know how to address her and who use dialogue and language that advance her mind. …it is language, rather than what kind of language, that nurtures not only linguistic competence but also intellectual competence. I bet anyone reading here would go to great lengths to avoid the withholding of language to a hearing child. I can understand how Brandi would want to make sure that the window of language acquisition for baby Zoe didn’t begin to close before help arrived in the form that would best serve Zoe. Those on the Win side of an adoption are more likely to recognized destiny’s hand than those who feel they were on the Loss side. Anecdotally, it seems more likely for adoptive parents to express a sense of destiny about the path that brought their children to them than for birth parents and adoptees to express a sense of destiny for their paths. 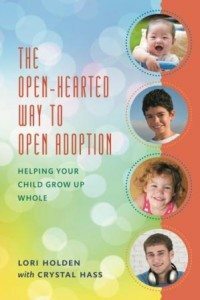 What do you think about adoption and destiny? To continue to the next leg of this book tour, please visit the links below. Comments are much appreciated by the book tourists! Thanks for following along on our book tour, and be sure to come back later this week for Brandi’s responses to our questions.